Southport Sharks has a tradition of awarding Honorary Life Membership to individuals who have given a great service to the Club and Playing Life Membership, which requires 10 years of playing service and 150 senior games. However, there are many individuals who are not recognised in either of these categories but had given outstanding service to the Club. Hence the Hall of Fame concept. To view the 50th Anniversary website, please click here. Playing between 1961 - 1981, Davey was a pioneer Player of Southport Sharks. 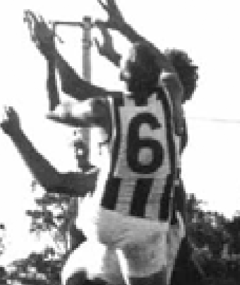 Best & Fairest 1964, 1968 and 1969. Premiership Captain & Coach Games record holder 230+ games. Player Life Member - 150 games and 10 years service. 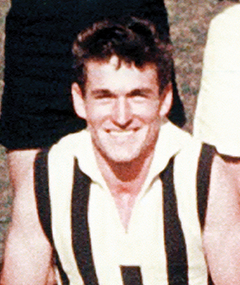 Bob was a foundation player for Southport in 1961 and finished in 1966. Bob started his football career in the under 14 side at Reservoir, continued to under 18’s at Epping then commenced his senior career in 1959. Bob was an onballer/rover with great skill and tenacity. He was a regular Gold Coast rep player and won the club B&F in 1963 and Equal B&F in 1965 alongside D.Napper & Ken Rodger. 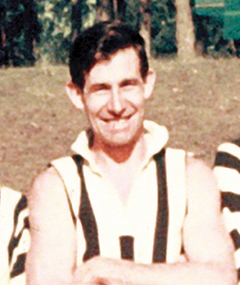 Ken was the initial captain-coach of Southport Magpies and was heavily involved in Gold Coast representative sides which pioneered the development of Gold Coast Football. He played as a centreman/rover and was renowned for his ability to accurately deliver the ball with either foot. 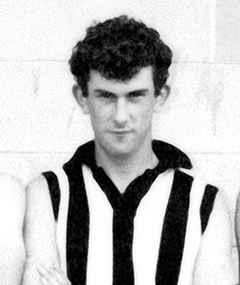 Ken continued a long association with the club and was active in the early junior development programs. 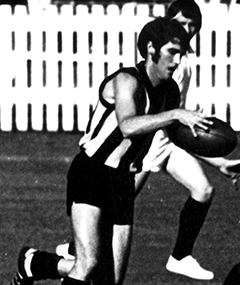 Don was an inaugural playing member and also featured in Gold Coast Rep sides as a ruckman. He was heavily involved in the promotion of Gold Coast Football with his newspaper columns and served as a committeeman of the club. He is also well remembered for creating the striking mural of Davey Burns which formed a feature wall at the Down Under Bar of the Pacific Hotel. Harold coached the club in 1964-65 and was active in Gold Coast rep football. He first arrived at the club at the end of a successful VFA career at Williamstown and was a dominant forward and goal kicker. Harold was also a driving force in the growth and development of Gold Coast Basketball from grassroots to a national license holder. 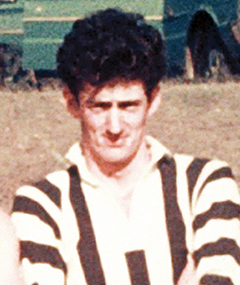 Ian was an inaugural player and was the clubs first Best and Fairest winner. He was a regular rep player as a rover. His family were heavily involved as patron of the club and had a long association. 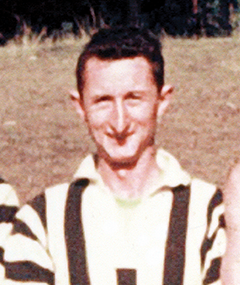 Ian went on to be win dual Best and Fairest awards in 1961-62. 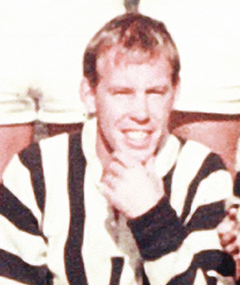 Dual Best and Fairest winner in 1970 and 1972, Ian came to the club in the early 1970’s from Victorian Country football. He was a dominant rover and renowned for his courageous attack on the football.